7,792 homes sold through the MLS system last month compared with 11,468 a year ago. A "for sale" sign sits in front of a house in Toronto on April 20, 2010. TORONTO — The Toronto real estate market appears to be stabilizing following months of payback after last year's frenzied pace of sales and skyrocketing prices, but home sales sunk to their lowest level since 2009 last month. The Toronto Real Estate Board revealed Thursday that the market saw 7,792 transactions in April, a 32.1 per cent drop from the same period last year when 11,468 homes were sold. Observers believe last April may have been the peak of the market as activity soared ahead of the Ontario government's package of measures to cool the market that included taxes on vacant properties and a non-resident speculation tax. TREB described the month-over-month changes as "minimal'' and said sales trends have "flattened out'' from the steeper drop-off seen in January and February — an indication that the market could be slowly climbing out of the sluggish state it was in at the start of the year and correcting the overheated conditions that pushed the province and mortgage regulators to introduce cooling measures last year. Activity dropped off in the opening months of the year after cooling pressure at the federal level, including a financial stress test for buyers implemented Jan. 1 for federally-regulated lenders and increases in both variable and fixed-rate mortgage rates as a result of moves by the Bank of Canada and fluctuations in the bond markets. "While average selling prices have not climbed back to last year's record peak, April's price level represents a substantial gain over the past decade,'' said TREB president Tim Syrianos. 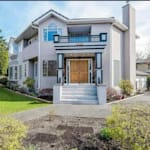 Sales in Canada's priciest market, Vancouver, also fell significantly last month. In the Greater Toronto Area, York Region took the most significant hit. TREB numbers show the region saw the biggest year-over-year price declines in April. Those kinds of drops "mask the fact that market conditions should support moderate increases in home prices as we move through the second half of the year, particularly for condominium apartments and higher density low-rise home types,'' said Jason Mercer, TREB's director of market analysis. His comments are in line with the rising prevalence of condo sales, which are increasingly being eyed by prospective buyers, searching for moderately-priced housing options in a market where affordable housing is more of struggle to find than in other Canadian cities. TREB pleaded for parties running in the Ontario's June election to turn their attention to housing, despite the Liberal government' newly-enacted measures last April that included taxes on vacant properties and a non-resident speculation tax, as well as the introduction by mortgage regulators of a stress test for uninsured borrowers at the start of the year. "We believe the next step should be tax relief, especially from land transfer taxes, both provincial and the Toronto land transfer tax, and efforts to facilitate an increase in the supply of missing middle housing that fills the gap between single family homes and high rises,'' said Syrianos.